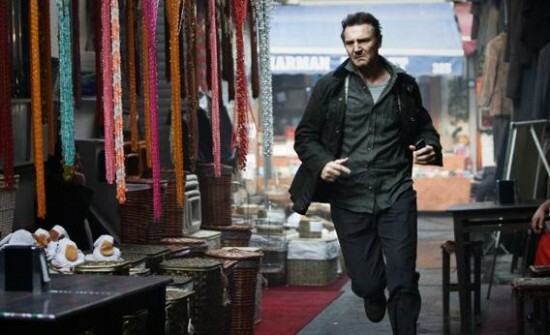 Well kudos to Taken 2, it was speculated in this very spot last week that the poor word of mouth and reviews would put a big dip into the action sequel’s take this weekend. The wrongness is strong with this one. The Liam Neeson punch-fest held off the critical darling Argo for the top spot yet again in the box office trenches. The film brought in an estimated $22.5 Million over the three-day weekend with a relatively healthy dip of only 54.6%. For an R-rated action film with a built-in audience who presumably all went and saw it the first weekend, that drop is pretty strong. Argo came up in second, with a still very respectable $20 Million weekend. The Affleck directed ‘incredible true story’ did about as well as a movie of this nature can reasonably expect to do, and with the heaps and heaps of love and positive word of mouth this film is getting it should play well for a few more weeks. It is really unfair to be disappointed in a film because of bad casting luck early in its production. Alex Cross originally was meant to star the phenomenal Idris Elba as the titular detective, in what was supposed to be a more exciting and action oriented take on the character. Then Mr. Elba had to back out and we got left with Tyler Perry. Now I don’t hate the films of Tyler Perry, I just never watch them. They are not made for me, so I don’t feel the urge to sit down with them. Perry was inoffensive enough in his brief role in Star Trek, so the news wasn’t immediately loathsome. After Washington DC detective Alex Cross is told that a family member has been murdered, he vows to track down the killer. He soon discovers that she was not his first victim and that things are now what they seem. Despite the lead, the film has some fantastic actors, and the trailer makes it seem that most of them are on their A game. Check out the new trailer after the jump.